If your friend or neighbor coupons, then you’ve watched in amazement as they come home with bag after bag of food and products while not spending full price. Couponing does take time and effort but most believe it is well worth it. So how can you get started quickly? Tip #1 Make a list of foods and grocery store products you buy regularly. This is one of the best things you can do that will put cash right back in your pocket. You need to understand what you are buying at the grocery store. Keep in mind that for some products and items you may be particular about which brand or type of product you get and then for others you are open to trying something different. Make a notation so you know which are which, to help you when you look for coupons. Tip #2 Find several sources for coupons. One of the easiest ways to find coupons is to search online coupon sites. You can print out several coupons for each product you choose. Most require you to download a simple coupon software. There are other places to find coupons, on Facebook, at a company’s website and in the local newspaper and the grocery store weekly circular. Some who coupon feel let down if they get started and they don’t save as much as their friend who has been doing it for a long time. Remember that this is something that takes practice to become successful at it for most people. One of the best things you can do is simply to jump in and get started. The more you coupon, the better you are going to get at it. Every time you shop with coupons is an opportunity to learn how to save more cash. Tip #4 Get a coupon organizer. Don’t forget that the savvy couponers know that by organizing their coupons, they will save the most money. 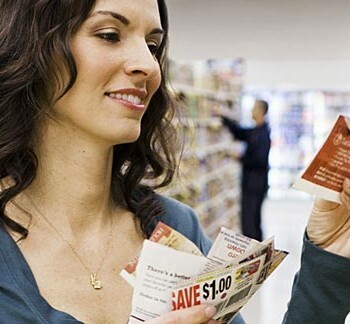 If you have a big stack of coupons but no idea which ones you have, it is going to take you time to sort through them before each trip to the grocery store. Use a store bought or make your own coupon organizer. You’ll discover this simple tip will have you saving much more cash! 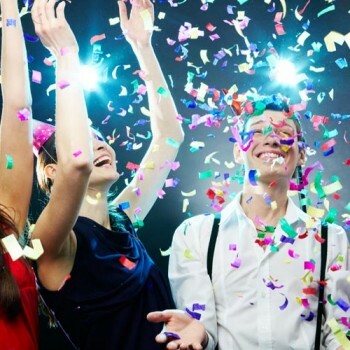 Tip #5 Reach out to friends and family members who coupon. When you start to see the register total go down, it is so exciting! Many who get bit by the couponing bug are inspired by knowing family members or friends who are couponing too. Get together with them and talk about coupons and saving tactics, as this will help you learn how to keep even more cash in your wallet. They also will support your efforts of starting a couponing habit. Getting started with couponing is a fun adventure. You have the opportunity to enjoy many of the things you and your family eat and use regularly, while paying much less for them. That saved money is yours to keep, to put towards a vacation, a child’s education or future needs. So, what are you waiting for? Let’s get started with couponing!